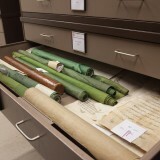 [From custodia.org] While work is under way at the sites that will host the Terra Sancta Museum, the Custody’s archivist Br. 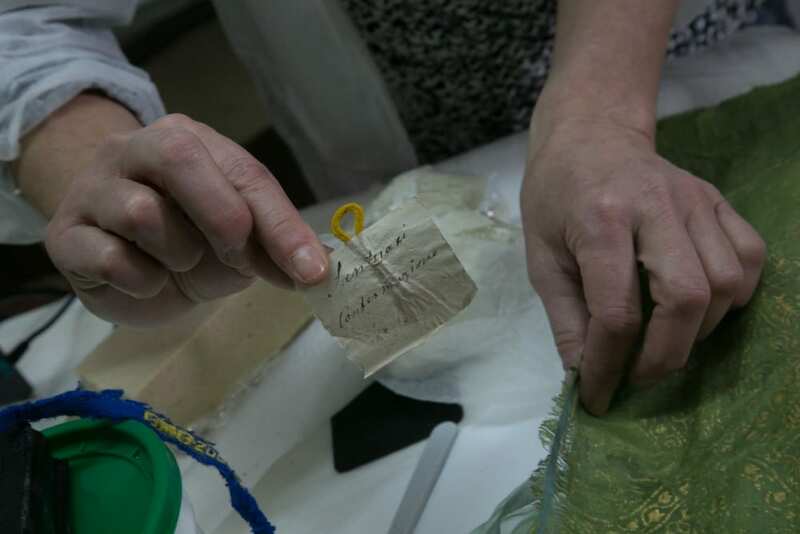 Sergey Loktionov is preparing the archival documents that will be exhibited in the Museum – especially the firmans. 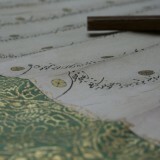 Firmans are royal mandates or decrees issued by the Ottoman Empire. 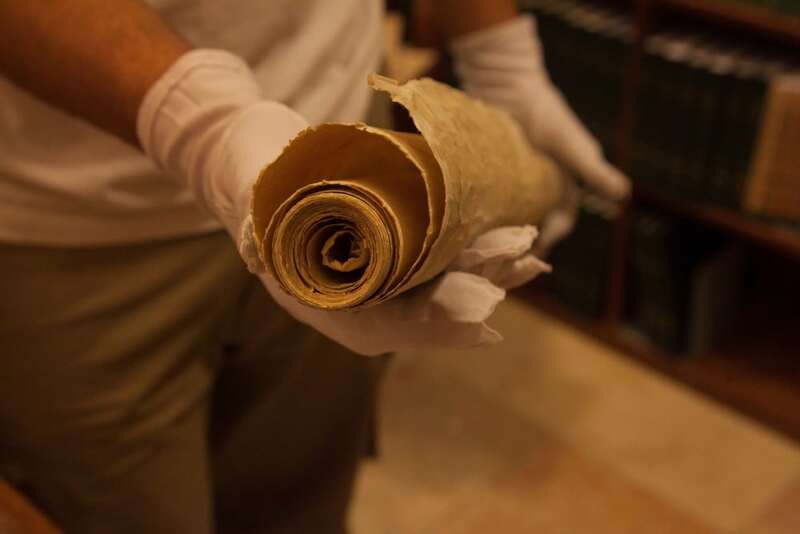 Their existence is paramount to trace the history of the Christian presence in Jerusalem. 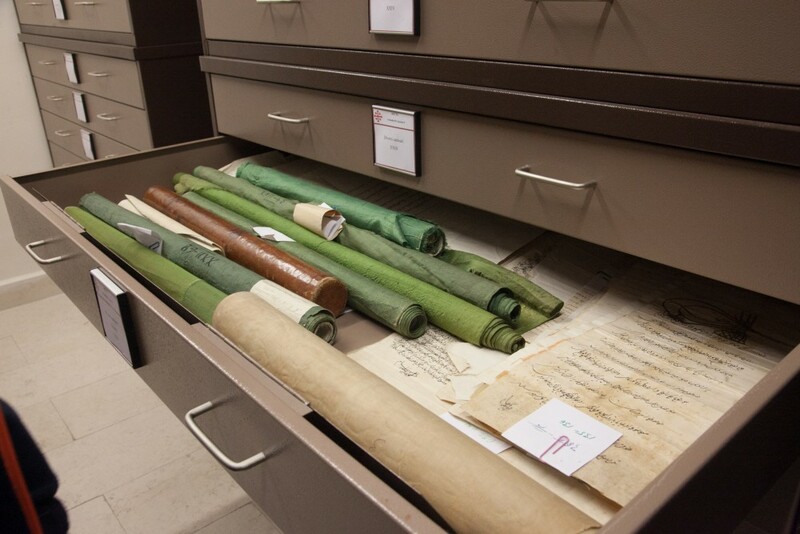 The collection of firmans of the Custody of the Holy Land is exceptionally rich in size (2743 firmans have already been cataloged) and artistic quality, states Br. Sergey. One of the best pieces belongs to the “golden collection”, i.e. 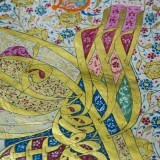 is illuminated with gold leaf. This firman won’t be exhibited at the museum without special precautions: a special hermetically sealed case and an anti-corrosive metal structure will ensure moisture stability. 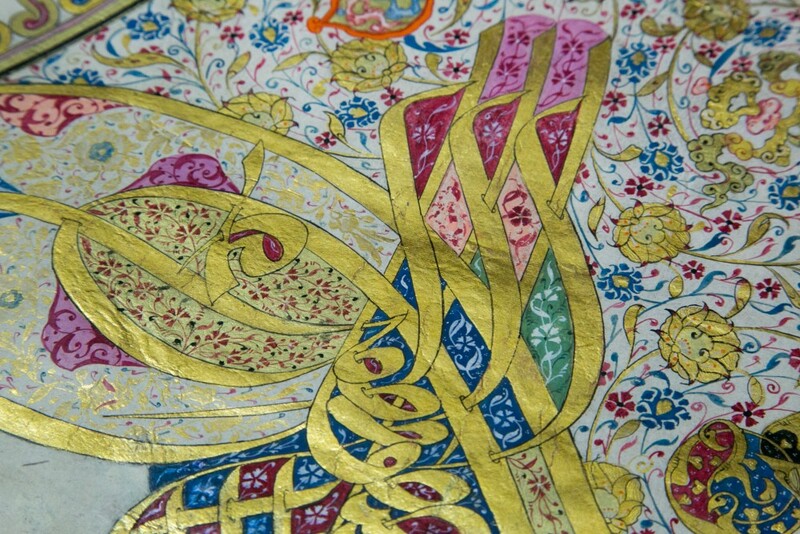 This outstanding firman was issued by the Sublime Porte (the Sultan’s government) in 1755. 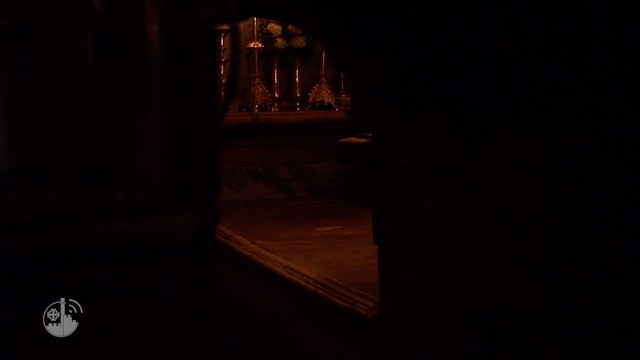 It concerns some rights assigned to the Franciscans related to the Holy Sepulchre. 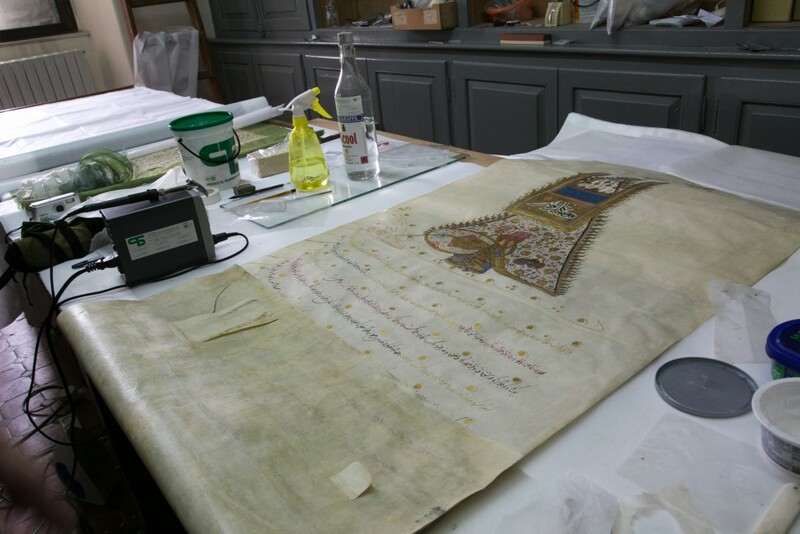 As many others in the collection, it needed restoration. That’s why Br. 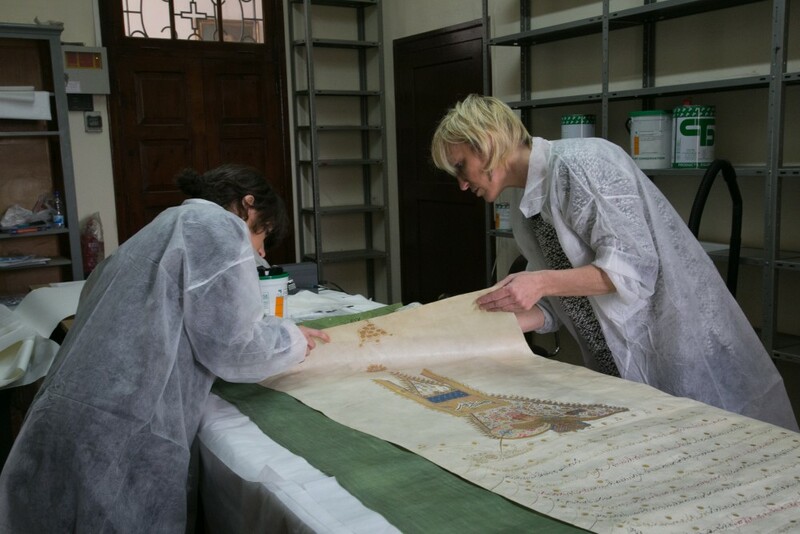 Sergey hired two restorers from the Consorzio Indaco laboratory (Italy): Chiara Lancini, a paper specialist, and Ilaria Mensi, a fabric specialist. 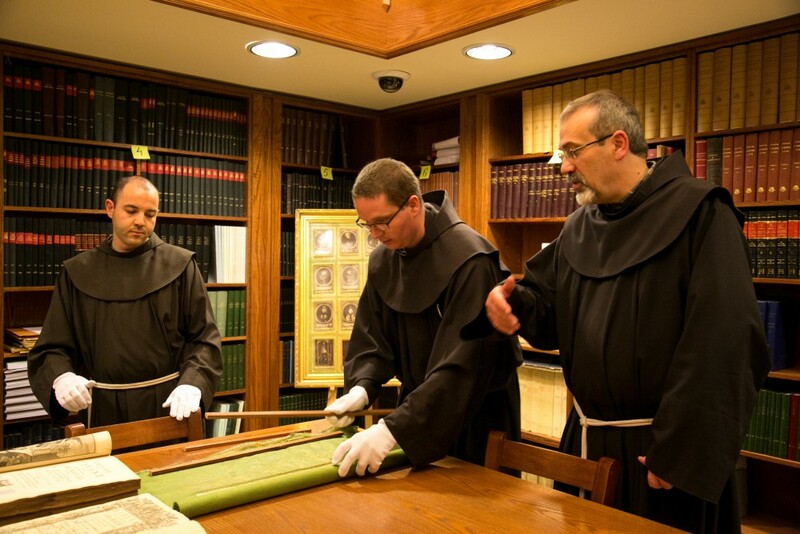 They recently set up a ‘lab’ in the St. Saviour monastery in Jerusalem. 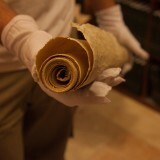 Chiara had to partially recreate the paper material, as pieces were missing here and there. 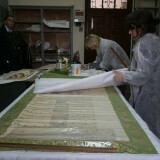 She utilised the type of vellum paper that was closer to the original paper. 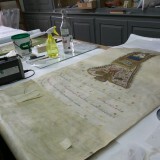 Once the restoration is completed, her intervention can be unveiled only if the document is placed against the light. 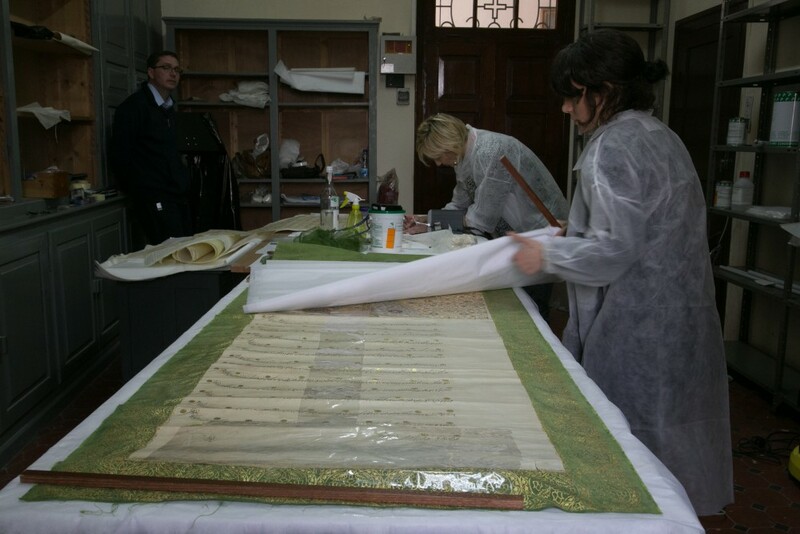 As for Ilaria, she worked on the very thin fabric on which the paper had been pasted – an extremely delicate operation. 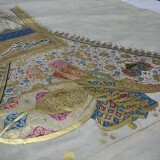 Both restorers report on the very high quality of the materials employed; this has made their work easier. All firmans should be cleaned. “In the meantime” – states Br. Sergey – “new precautionary measures are being taken for the whole collection. 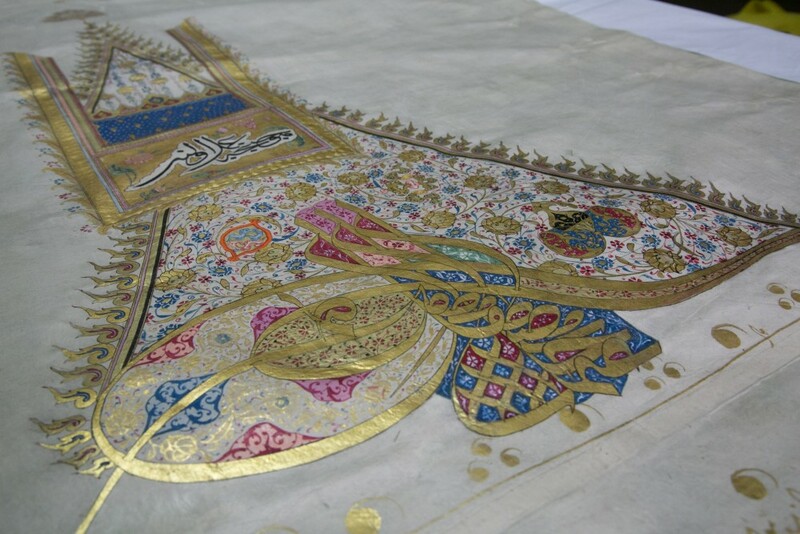 Some works will be placed under glass so as to be displayed during temporary exhibitions. 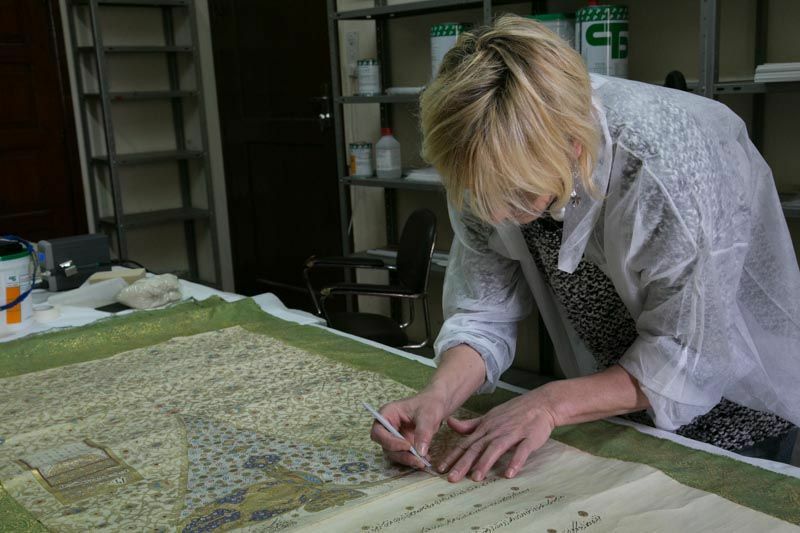 We just completed in-depth restoration work on three firmans, but about a hundred of them would need the same care“. This restoration activity will require additional fundraising to be accomplished. 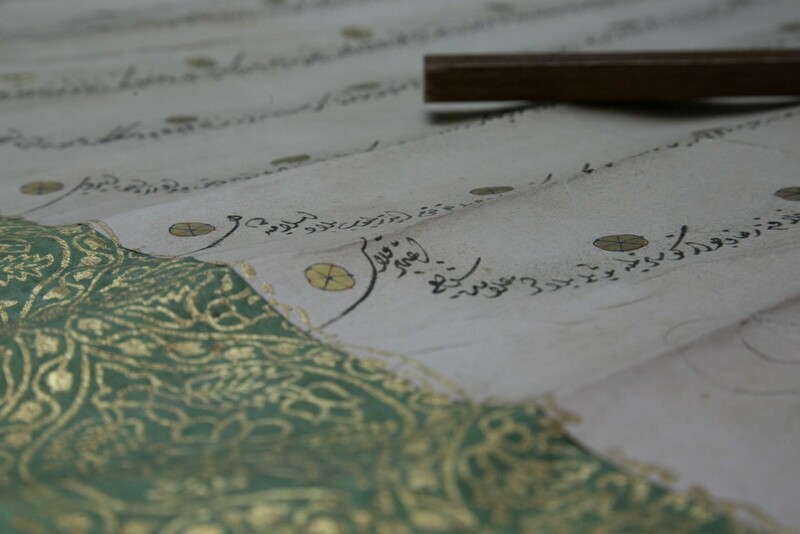 You can donate for the restoration of the exceptional collection of firmans of the custody of the Holy Land.